The X-Wings from The Resistance - flying in to save the day! 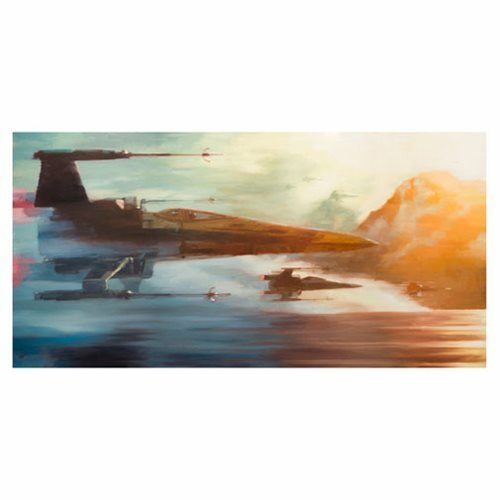 This Star Wars: The Force Awakens X-Wings of Resistance by Christopher Clark Canvas Giclee Art Print displays an iconic scene from Star Wars: The Force Awakens when the X-Wings come in to save everyone from the attacking TIE Fighters. A limited edition of 95 pieces hand-numbered and signed by the artist, this stunning giclee measures 32-inches wide x 16-inches tall! Ages 13 and up.